MOGADISHU, Somalia – Education in Somalia is a major problem, one fact illustrates only four out of 10 children are in school. The Somali authorities created the Go 2 School campaign to increase the number of children in school by one million. UNICEF is financially backing the $117 million campaign. The Somali formal education system is on the verge of collapse as the country has been ravaged by civil war for the past two decades. Somalia has one of the world’s lowest school enrollment rates. Below half the population of children are in primary school at 42 percent with 36 percent of them being girls. Education opportunities for girls in Somalia are especially deficient at a rate of one in three girls attending school in South and Central Somalia. Al-shabab, a militant Islamist group, maintains control over multiple locations in the south and central regions. The accessibility of a quality formal education for all children in Somalia has become an even more crucial issue as al-Shabab remains active. Maryam Qasim of the Education Ministry expressed that education would keep children from becoming al-Shabab militants. Young men join al-Shabab due to the combination of poverty and inaccessible education. The lack of legitimate opportunities limits any other alternatives. Al-Shabab recruiters offer $50 to families in exchange for their sons to join the group. Families have no other option but to accept the offer because they are poor. The majority of the Somali population consists of children or teenagers who have grown up in conflict and do not know any different — alongside the fact that Somali young people are exposed to few job opportunities. The concern about al-Shabab is that — while the organization can be defeated — the misconception of al-Shabab as being the only viable option of a livelihood will remain prominent if education and job prospects do not improve. Even so, young men are also coerced into joining al-Shabab by recruiters physically forcing them or threating to kill their families. 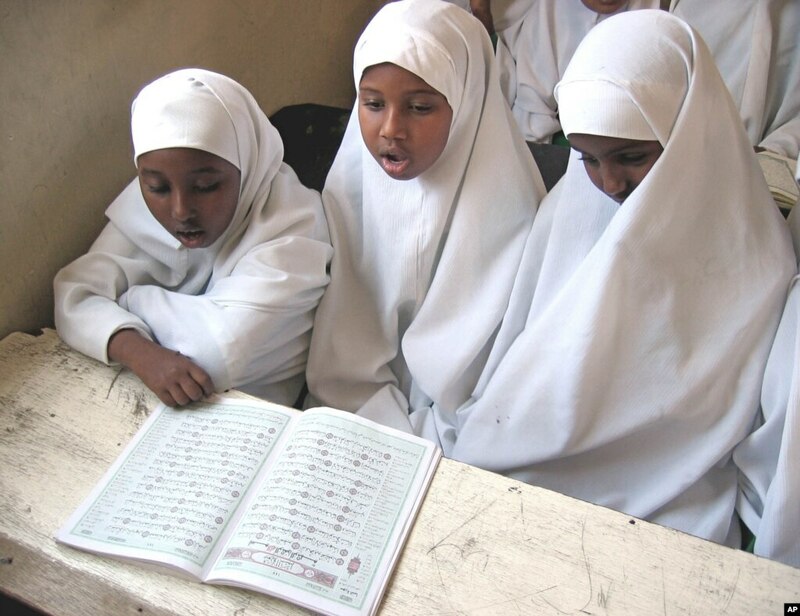 Indoctrination in madrasas are incorporated in recruiting al-Shabab members as well. Al-Shabab poses a serious security risk despite losing control of Mogadishu and other major cities. Attacks and suicide bombings continue to be employed by the group. With 4.4 million Somali children not in school, the Go 2 School campaign targets children between ages six and 13. UNICEF expects this quarter of the youth to benefit from Go 2 School with the opportunity to learn. Former prime minister, Abdi Farah Shirdon, recognized the dire need for education reform in Somalia during his previous office term. Under his government, he promised to make education as high a priority as defense and security. Little investment in education and the subsequent lack of success has led to high repetition of grade levels, dropout rates and low examination pass rates. First grade students enrolled in the 2001-2002 school year only had 38 percent advance to fifth grade in the 2006-2007 school year. Secondary school education is increasing in demand, but girls are only 28 percent of the student population. Somalia must work towards improving the quality of faculty at schools. Women make up 15 percent of the teaching force in the Somali education system — most of them are unqualified for their position. Educating Somali children will not be as successful if teachers are unable to provide adequate instruction. Somalia now has a central federal government after 21 years without one, which means it is a new government. The nation is in transition and public services are in the process of being restored. Rebuilding the education system must be kept high on the priority list to help Somalia advance as a nation and an economy.